USA Powerlifting adopted USOC Doping Control Guidelines at it’s June, 1996 NGB Meeting. Formerly known as the ADFPA, USA Powerlifting pioneereed doping control in the sport of powerlifting in the USA – beginning in 1981. Many of the drug testing standards now utilized by other powerlifting organizations originated within the programs of the ADFPA, Inc.
USA Powerlifting requires all Meet Directors to drug test a minimum of 10% of the competitors participat-ing in every sanctioned event. This is a literal requirement – eg: with 51 competitors, 6 tests must be done. All open American Records must be tested. All World Records must be tested. All returning Open Na-tional Champions must be out-of-competition tested with little or no advance notice prior to defending their title. 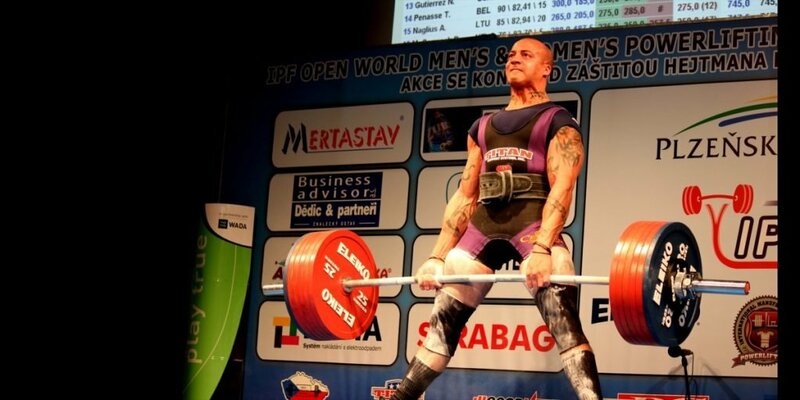 Chain of Custody documents and Drug Testing monies must be sent to the USA Powerlifting National Office within 10 days following a competition. These are directly referenced with the lab reports received by the President and Chairman of the Drug Testing Committee. Failure to comply with these schedule requirements results in the loss of Meet reimbursements, with no further sanction being granted. Total lack of compliance results in suspension from the organization. Meet Director’s testing more than the required minimum of 10% continue to be awarded up to 20% reimbursement for their Drug Testing costs, as an incentive to go beyond the minimum requirements. USA Powerlifting funds all Drug Testing at the 3-lift National Championships such as Men’s Open, Women’s Open, Teenage, Collegiate, Master’s, etc. Out of Competition Testing (OCT) funded by USA Powerlifting includes the control group of all open Na-tional Champions, Committee referrals, and profiling of athletes whose results fall under IOC Protocols for profiling. Out of Competition Testing is conducted with no advance notice, or with as little notice as logis-tically possible. A positive test results in immediate suspension. The athlete may request the “B” portion of their sample to be tested within 21 days following notification of their test results, at their own expense. If the “B” portion test results are negative, the athlete will be reinstated. The period of suspension follows USOC/IOC Guidelines for positive tests with banned substances; with the exception that USA Powerlifting enforces a 3 year suspension for a first time offense for the use of anabolic agents, rather than the 2 year suspension found in the USOC/IOC Guidelines. The following report is offered as evidence of USA Powerlifting’s ongoing Doping Control/Drug Testing Programs.